Many of our studio projects involve photographing products on black or white backgrounds. However, some projects are more complex and require specialized sets and styling. As professional studio photographers, we know that an important part of creating a successful photograph of your product involves capturing the actual image and textures in the product’s materials and keeping the correct color balance. Our team pays close attention to lighting, color, and a host of other technical considerations. This particular project contains studio and location photography. 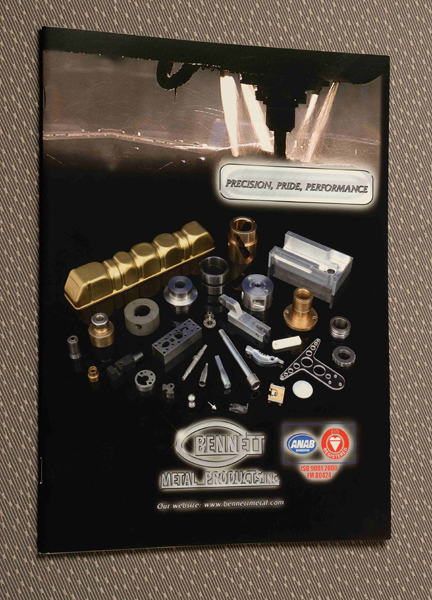 The cover images from this brochure were shot on a black background at the studio. Lighting techniques were complicated by the reflective metal parts, but our experience with chrome and glass has helped hone our lighting skills for all types of reflective surfaces. This entry was posted in st louis studio photography and tagged Executive Portraits, food photography, product photography, st louis corporate photography studio, st louis headshots, st louis photo studio, st louis photographer, st. louis product photography, stl executive portraits. Bookmark the permalink.